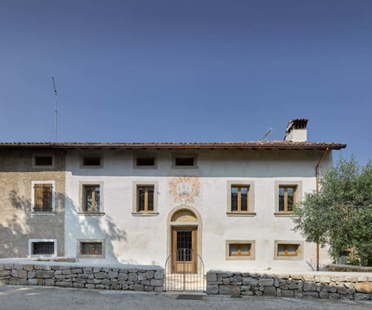 Treviso architect Massimo Galeotti has overseen the architectural reclamation of a historical villa in northern Italy. Many reclamation projects give old buildings a contemporary look and change them completely; but such radical change is not always the best solution. An architectural regeneration project that highlights the old portions of the building, contrasting them with wood, reinterpreting its openings in a panoramic key, with a great deal of attention to the surrounding historic urban framework.